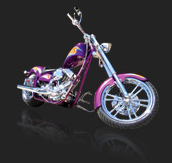 Supercycles is the largest custom motorcycle shop in Western Australia, specialising primarily in Harley-Davidson’s. Established in 1992 we offer 25 years of experience, knowledge and service in the trade. Located in Osborne Park, the heart of Perth’s automotive industry. We are Perth`s premium after market Harley-Davidson dealer, we stock an extensive range of Custom Chrome, Drag Specialties, Kuryakyn, DNA Specialties, Zodiak, LA choppers, Joker Machine, Performance Machine, Roland Sands, Heartlands, S&S, Genuine Harley-Davidson accessories and so much more. We have Harley-Davidson trained Motorcycle Technicians with extensive experience in repairs, servicing, customisation, fabricating and dyno tuning. Our workshop is fitted out with latest tech and equipment for all Harley-Davidson models new and old. We stock a great range of low km Harley-Davidson’s on our show room floor plus we have the rare Saxon and Pro1 choppers. All come with a 12 month warranty. We offer finance with outstanding rates from the team at Finance 48.